Yep, I finished my Sewaholic Minoru jacket! I have been following Tasia’s sew-along and I was so impatient to wear the jacket. 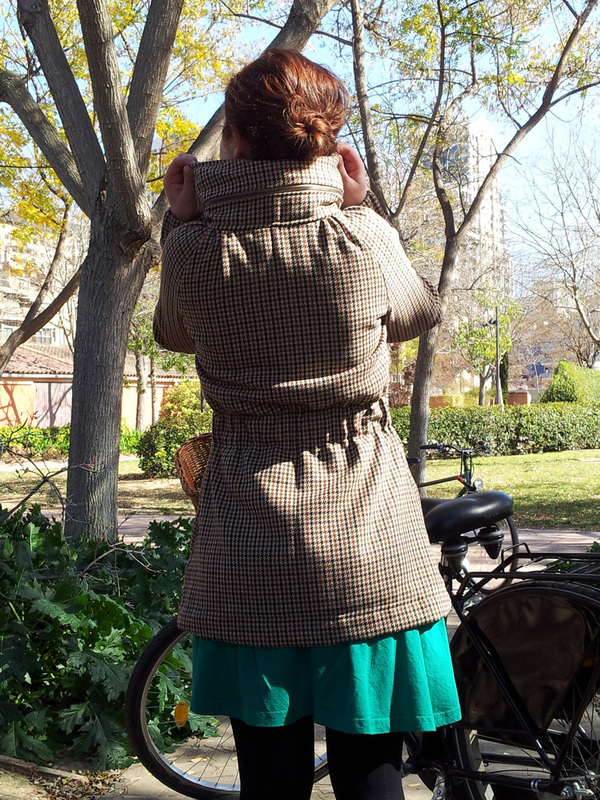 I finished the hem on Saturday morning and as soon as the last thread was cut, I put it on and rode my bike to the city center. 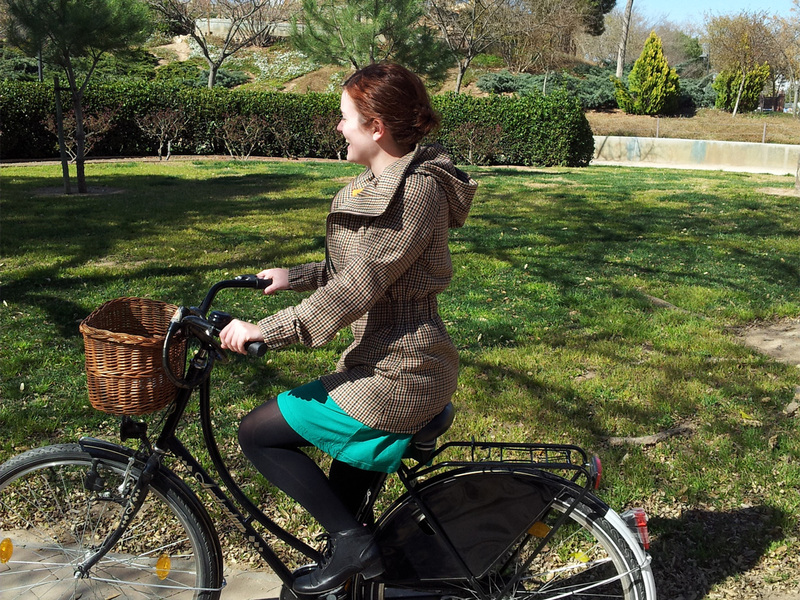 And Tasia, the wonderful pattern maker, was right: it’s a great jacket for riding. Even if the pattern specified that plaid fabrics were not recommended, when I saw this wool English plaid, I knew it was going to be my Minoru jacket. I am quite happy with the result, I matched the plaid quite well. I like that it looks like something a modern Sherlock Holmes could wear. I lined it with bright yellow-golden bemberg for a nice contrast. So, to summarize, I am really happy with my new jacket. I might plan a second one, in a solid colour, but I’ll wait for next year as it’s almost too warm now to wear it in daytime. I highly recommend the pattern, I consider myself being between novice and intermediate and I understood it perfectly. See how happy I am! Digital high-five to you! That is such an awesome coat – the tweed is perfect! I just got that pattern in the mail and can't wait to start! You sure should try it, it's such a great pattern. And be sure to look at all the versions made in Sewaholic's blog. I love the plaid option, it looks wonderful! Bounjour Pauline! I love your complete outfit: the dress, the coat, the bag (!!! 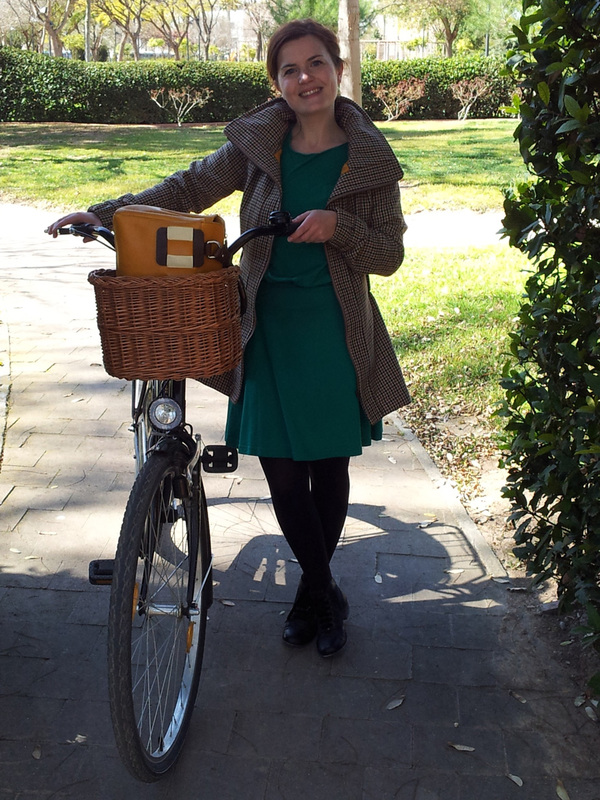 ), the bike and the sun!! I definitly think I have to try a Minoru jacket as well, I already so so many great versions. Have a good day! Greetings from Germany. Thank you. The pattern is great and I enjoyed seeing all the different versions on the net. How amazing that with the same pattern, every jacket is unique. I hope to see your own jacket. This is perfection with your lovely coloring. Thanks Mary for your nice comment. And I love your version of the Minoru. Hola desde España Pauline! 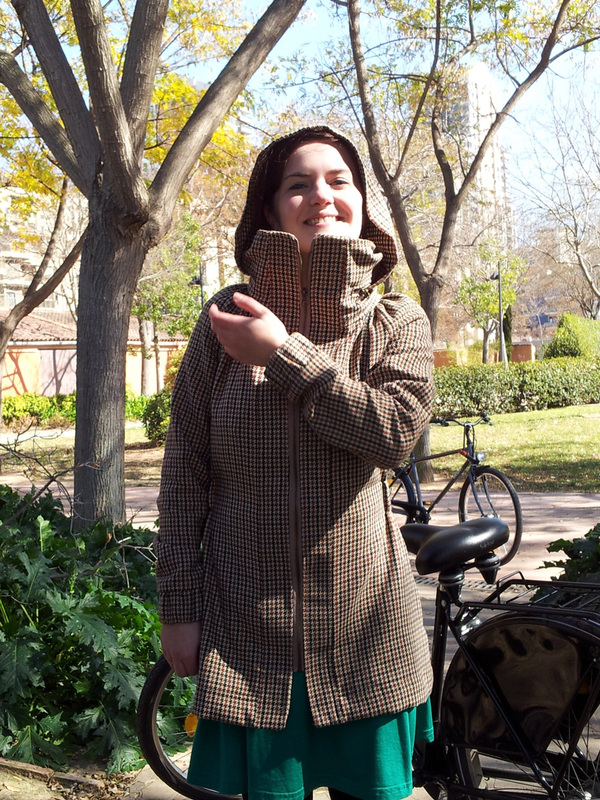 this is one of the best Minoru jackets I´ve seen! Congratulations!! Gracias Maria. Te recomendo este patron si no lo tienes. Está genial. Un saludo. I found your blog today, you´ve lovely projects! Your Minoru Jacket is absolutely fantastic. I read that you moved to Valencia, it´s a great change! I´m from Bizkaia, I live near to Bilbao. 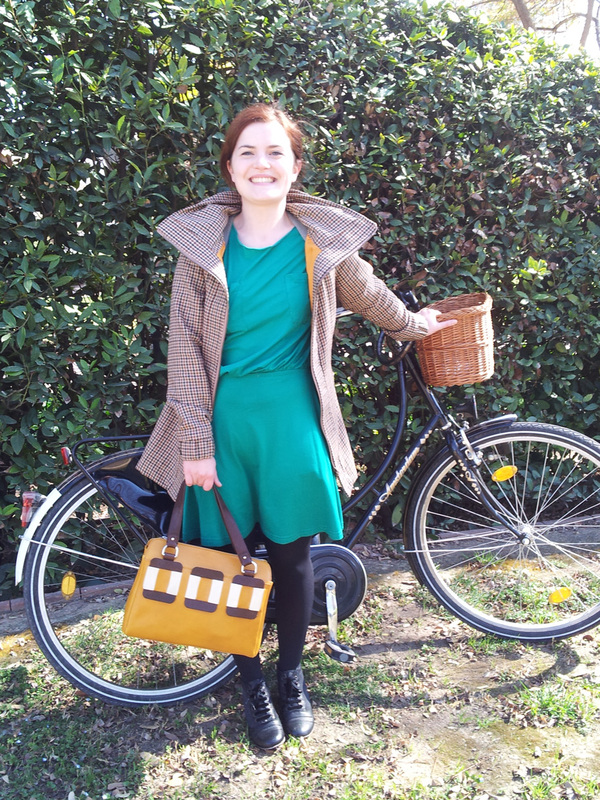 I also have a sewing blog, I write it in Basque and English, if you want check it! Hola Maider, gracais por tu comentario. I like that your write in Basque , even if I don't understand. Un saludo. Ideal la chaquetaaa!!!! yo la he visto en persona y es digna de alta costura! Gracias Sylvia. Hablamos para tu vestido! Hello Pauline, i like this jacket and the fabric combination. I'm learning how to sew. Do you have a step by step tutorial of it? By the way, thanks for keeping your inspiring blog.